Made from superior grade stainless steel, our comprehensive range of forge fitting is widely used in various applications of chemical, pharmaceutical & other industry. 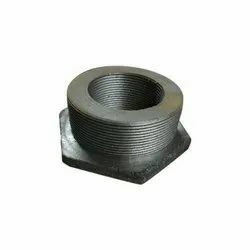 In addition, we provide these forge fitting as per customized requirements. High Quality of G.I. Fittings ISI , heavy and extra heavy 15 MM. to 150 MM. sizes. These are generally used in irrigation, water supply and engineering sector. Because of their light weight these pipes and fittings are easy to handle and transport. Some of the features of our range of GI Pipes and Fittings include Superior finish, High durability, Increased bend ability, Great resistance to corrosion, Responsive to rigorous fabrication. We only deals in some areas of Maharashtra i.e Bhandara, Chandrapur, Chiroli, Amravati, Wardha, Yavatmal, Akola and Nagpur. These are generally used in irrigation, water supply and engineering sector. Because of their light weight these pipes and fittings are easy to handle and transport. 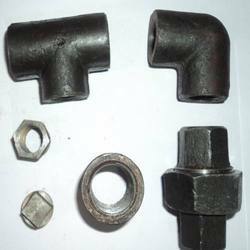 Some of the features of our range of GI Pipes and Fittings include Superior finish, High durability, , Increased bend ability, Great resistance to corrosion, Responsive to rigorous fabrication. Size: Metric 20 m.m. to 50 m.m.